WHEN PRESIDENT George Manneh Weah declared his assets in June 2018, six months after he was expected to do so, many felt his declaration was belated and the blatant delay signaled his unwillingness to stand strong against corruption. THE PRESIDENT was even more criticized for failing to publish his asset declaration forms after he finally filed it with the General Auditing Commission (GAC) which then passed it on to the Liberia Anti-Corruption Commission. THE PRINCIPAL GOAL of income and asset disclosure systems is to combat corruption and promote transparency. WHEN THE WEAH-LED administration came into being, Liberians in general were already weary of the mass exploitation that occurred during the previous regime. At some point in time, ex-president Ellen Johnson Sirleaf admitting to the toughness in fighting corruption branded the menace as a ‘monster’. HOPES WERE very high and renewed that the benefits of national resources would now trickle down to the commoners, using the robust fight against corruption as one of several important steps. ALAS, THE fight against corruption has been down played by this administration, even in the wake of mounting questions about the fast acquisition of wealth by officials of this very young government. MORE TO THE disappointment of Liberians, President Weah has refused to make public his asset declaration forms, despite several calls for him to do so. FRONTPAGEAFRICA strongly holds the opinion that declaring your assets and keeping it private or secret runs contrary to the spirit and intent for the asset declaration system was established. 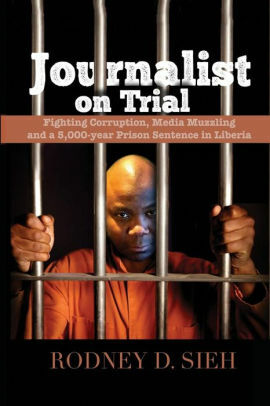 THIS IS WHY we believe that though it is commendable for President Weah to request the Liberia Anti-Corruption Commission (LACC) to validate his asset declaration, it adds no value to the fight against corruption and the promotion of transparency when his assets, income and liabilities remain a mystery to the Liberian people. MANY COUNTRIES have been at the forefront of efforts to design and create electronic platforms that publish information on government officials’ personal assets. SUCH PUBLIC disclosure of asset declaration also allows civil society organizations and the media to monitor the integrity of senior public officials, which leads to public pressure on those found to substantially and unjustly enrich themselves. IRONICALLY, President Weah said LACC’s renewed assurances to combat corruption is a cardinal pillar for the success of his Pro-Poor Agenda for Prosperity and Development (PAPD) which focuses on transparency and accountability in governance. IN A RECENT exclusive interview with Atty. Samuel Kofi Woods, a former government official, he alarmed at the rate of allegations and ruthless enrichment on the part of officials of the Weah-led administration which he said needs to be looked into. “IT’S BEEN one year now I’ve not seen any audit of any of the administration’s officials or any ministry – and I am increasingly concerned that in spite of all the reports of alleged corruption, the government should be concerned about ensuring that the institution of government with such responsibility will do the right thing. I’m a bit disappointed with that. Assets were declared, they need to be verified. Effective now, LACC, GAC should begin a process of finding these assets and present a report to the Liberian people,” Atty. Woods said.